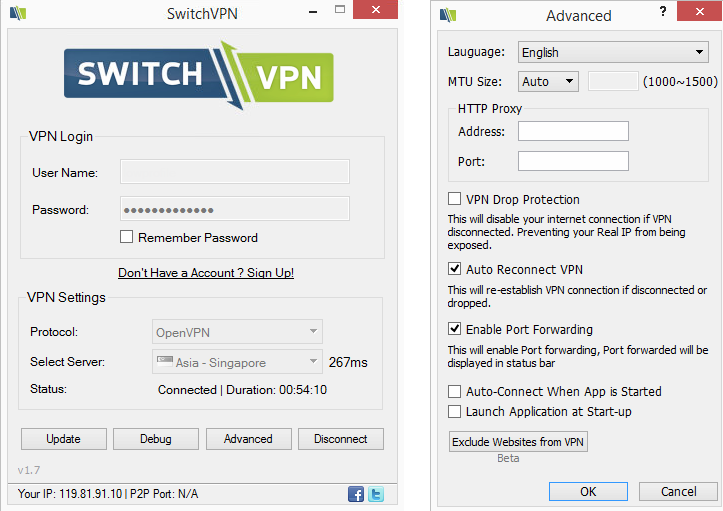 SwitchVPN offers a very approachable VPN service that performs decently, but it just doesn't raise to the standards. The customer support team, lack of a trial period or mobile applications are just a few of the problems the service has. SwitchVPN is a VPN service located in Mumbai – India, offering servers from 30 countries all around the world: USA, United Kingdom, Germany, Netherlands, Canada, Sweden, Czech Republic, Singapore, Malaysia, Hong Kong, Latvia, Luxembourg, Switzerland, France, Italy, Romania, Russia, Japan, Belgium, Spain, Denmark, Poland, Australia, Brazil, Ireland, Iceland, Austria, Chile, Norway and India. Users are able to choose from VPN, PPTP and Open VPN, depending on their needs. SwitchVPN is best suitable for unblocking websites, unblocking video streaming and for remote access. The service provides unlimited server switching and unrestricted speed and bandwidth allocation. We noticed in their software that SSTP is available only via Hong Kong and UK VPN locations. P2P is allowed in some locations: Netherlands, Luxembourg, Latvia, Romania, Sweden and Russia. Speaking of locations, in some “popular VPN locations” they have multiple exit gateways: Chicago, Los Angeles, New York, New Jersey, Miami, Virginia, Dallas, Washington in USA; London, Maidenhead and Gosport in UK; Montreal and Toronto in Canada; Frankfurt and Nuremberg in Germany. 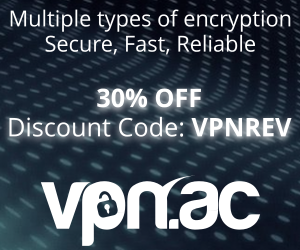 From their website, it wasn’t clear what is the encryption strength for OpenVPN, as they advertise 1024-2048 bit encryption. Users who don’t know much about encryption might be tempted to believe that SwitchVPN provides much stronger encryption compared to others in the industry, who advertise 256-bit. What they do not mention is that the 1024-2048 bit claim refers to asymmetrical encryption, not symmetrical (example AES, Blowfish). Digging into their service we found a confirmation for our first thought, specifically that they are using low-security RSA-1024 CA to sign RSA-2048 server certificates for OpenVPN with the default Blowfish cipher using 128-bit key-size. Now, this doesn’t look like the most secure VPN anymore and we certainly don’t like misguided advertisement. It’s also worth noting that we asked their support staff what is their OpenVPN encryption strength and he insisted that it is “2048-bit”, even after telling him twice that the we need to know about the symmetric parameters too, not only the asymmetric RSA key size. Frankly, seeking a simple answer to a simple question was a failure. Visiting the online chat support the next day, there was another support representative who was more helpful. He said that other encryption ciphers will be available soon, after a software update, and in the meantime they can provide custom parameters on request. Signing up was quick, and they do not ask for too many details in the process: name, country, email address and the desired VPN username/password. Account activation is automatic, as soon as the payment is made. Like in the case of other VPN services, the software is easy to install and use, and the website provides setup guides for each modern platform, ranging from mobile devices to routers. Using the software doesn’t require the user to be technically skilled. It provides an easy way to select location and VPN protocol, as well as setting up advanced settings like Proxy to connect through, websites to be excluded from using the VPN connection, a kill switch and port forwarding. Some other features that are worth noting are the ability to see the connection log (Debug button) and server latency displayed when selecting a location from the list. SwitchVPN offers 6 subscription plans, each with different features. The PRO VPN subscription plan is available at the price of $9.95 for one month, $8.95 monthly/3 months and $4.95 monthly/12 months. Pro VPN subscription includes the ability to use 5 concurrent connections. The Business VPN subscription plan is available at the price of $59.95 for one month, $49.95 monthly/3 months and $25.00 monthly/12 months. Additional to the Pro VPN plans, the Business Plan offers 10 simultaneous connections (additional ones are available for $2 each). We weren’t sure what exactly is different to make this plan so expensive, so we asked their sales representative. it seems that the extra value consists of 10-minute reply time to support queries, remote setup for customer and a dedicated IP address. They also suggested that the pricing for the Business plan is going to be revised soon. Payment methods include Credit Card, PayPal, Perfect Money, Bank Transfer, Western Union, WebMoney, Bitcoin, Payza, Alipay, UnionPay & Bank Wire. The refund period is 30 days. The company doesn’t store, record or monitor logs, however, they will record time, date and VPN server location, bandwidth used during connection and duration of the VPN connection. 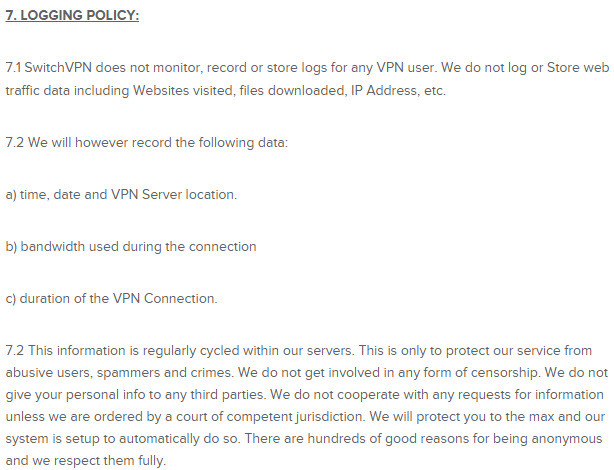 SwitchVPN claims not to give personal information to third parties and they will not cooperate with any requests for information, unless ordered by a court or competent jurisdiction. They claim that the connection log information “is regularly cycled within our servers”, though they don’t give any info on how often is the info cycled. 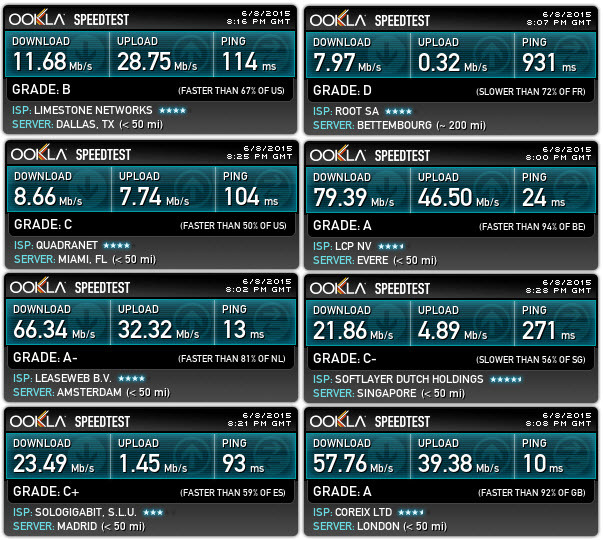 Speed was quite good overall in our testing using OpenVPN. However, we weren’t always able to connect to all server locations and quite a few times we established the connections but there was no traffic going through, not even the new IP address being displayed in the software. Users are able to contact SwitchVPN via email, Skype or live chat for support and keep updated with the latest news on the official blog and social media networks. The live chat was online at different times of day and night and that’s good. However, as pointed out earlier in the review – we weren’t really impressed by the know-how of their live chat operators, though we are confident that they can help with most basic problems. easy to use, solid software for Windows and Mac. 30-day “No questions asked” refund policy. Many payment methods available, incuding Bitcoin. Support available online most of the time. P2P allowed (not in all locations). making use of some misguiding information. 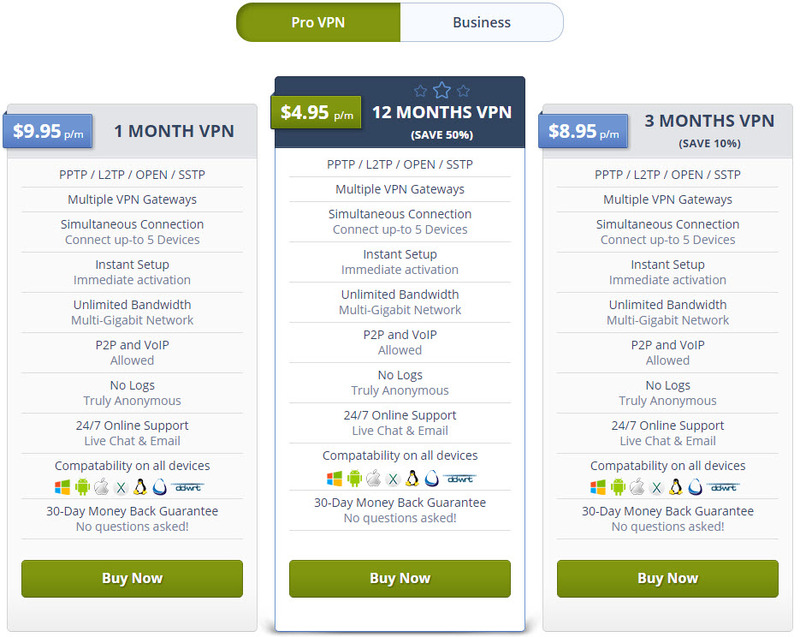 Also they don’t make it clear enough what is the difference between their VPN pricing plans. friendly customer support, but it wasn’t too knowledgeable in our chats. quite expensive: the business plan is overpriced. no custom VPN app for mobile devices. we weren’t able to connect to some locations, several times. SwitchVPN lacks in several areas and we don’t see good reasons to choose them over some competitors. We don’t say it is bad, but it is far from being “the best”, like they claim. We rate them at 5.5/10. Switch is a very bad vpn service, bad speed and bad connection. They just charge you money do no thing. Stay away from it.